The Buffalo Bills have been involved with football for many years. In fact, they’re coming up on 60 years, making them one of the oldest teams along with the hated Patriots team. Even with the bad records over the last few years, the Bills have at least managed to get into the post season 18 times, 2 more than the New England team. 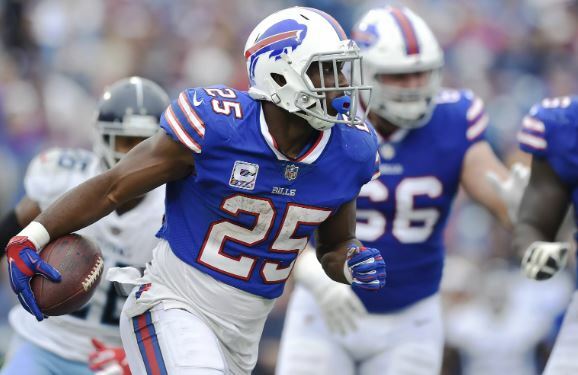 For 2018, the Bills return home to sulk yet again as they fail to make it into the postseason, but there’s light at the end of the tunnel as we see some major changes coming, especially with the new players joining the team over the last few months, including the new impressive quarterback, Josh Allen. Another major change would be the New English QB Tom Brady reaching the end of his careers as he is already 41 years old while the Bills just got them QB who has been smashing records left right and center throughout 2018, that’s already one team that might just have a hard timing keeping up with the Bills in 2019. In 2018, we’ve seen some great changes to the team already, giving them a great new QB who actually gives the whole team and the fans a bit of hope. However, if you’ve seen a couple of games in 2018, you would’ve seen Josh Allen not being able to do what he does best as the offense cannot stop the other team quick enough and provide enough of a block. Well, in 2019, the coach and manager would need to consider adding even more new players, some with a big more experience when it comes to offense. Alternatively, they need to get these new players into shape and give the QB enough time to make the moves he needs. The whole point of the new players was to give them time on the field, so they can get experience in NFL, we just hope it helps and pays off for the season ahead. There’s no denying that Josh Allen already has what it takes to carry the team to much better odds, but he still has a long way to go, giving us the confidence that he’ll show some incredible improvements with the 2019 season. In 2018, he has only 10 TDs and a bad passer rate of under 68, which indicates he needs a lot more work, but the other parts of his game have been great. Luckily, with the offseason, he has a lot of time to perfect the game, which would go perfectly if the Bills manage to get better offense. With just those improvements, we might just see the team make their way to the postseason again as they are already showing huge improvements for the season to come.